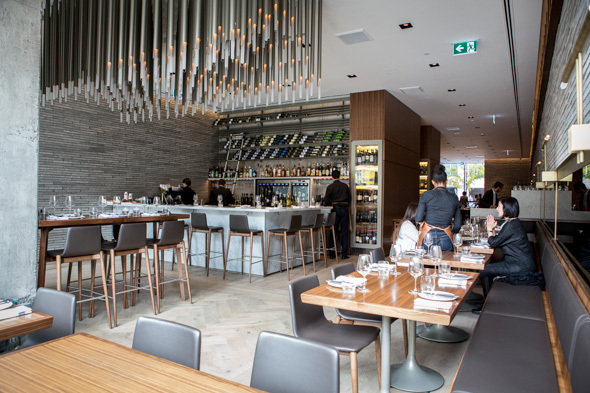 Buca Osteria & Bar, a.k.a Buca Yorkville, is the third outpost from the King Street Food Company. 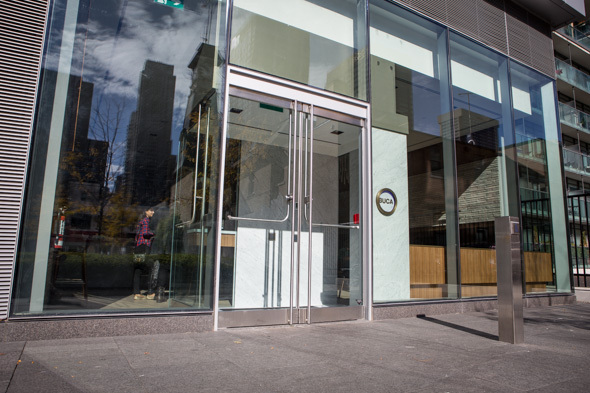 The entrance to the posh new digs is recessed behind the Four Seasons car roundabout (not actually on Scollard, as advertised). 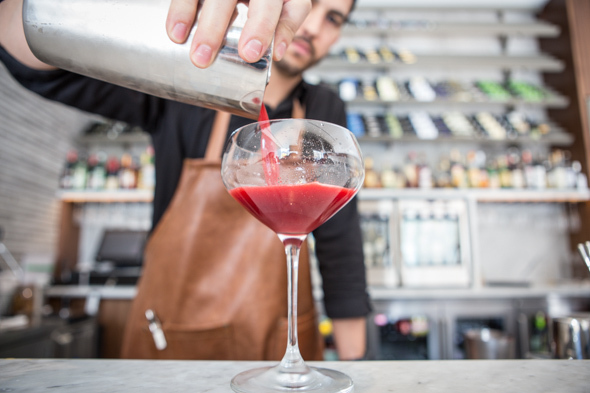 Inside, the sleek aesthetic is similar to Bar Buca but it's a bit less industrial and more refined. A sculptural chandelier, as well as a marble bar outfitted with steel wine racks, are positioned upfront and make a grand first impression. Sleek modern furnishings, including a mix of tables and high-tops, populate the 90-seat dining room. A semi-private room can accommodate parties of 12, while half a dozen seats at the chef's rail face directly into the open kitchen. 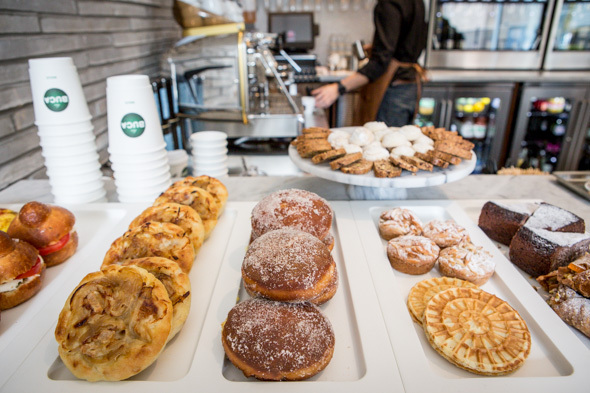 The restaurant opens early with a daily display of cornetti and bombolone at the bar, and short, strong espressos dominate until the lunch crowd streams in looking for something stiffer - like the Bar Ba Buca ($16), a black pepper and olive oil-garnished cocktail blended with beet-infused Grey Goose, sweet vermouth, apricot purĂŠe, raspberry shrub and citrus. 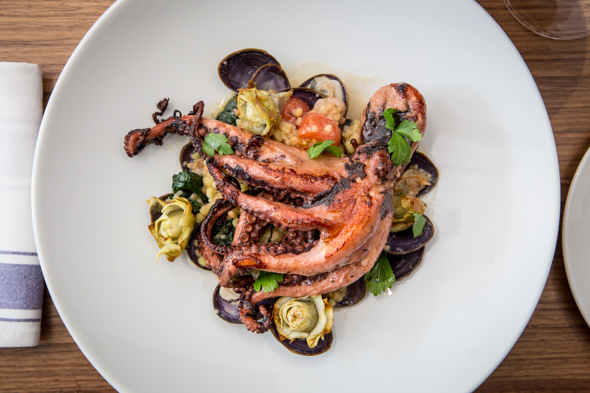 The menu, from executive chef Rob Gentile and chef de cuisine Ryan Campbell, is printed daily and while Buca's renowned pizzas and pastas are in attendance, the new restaurant channels regions of coastal Italy to promote a decidedly seafood-centric focus. This photo doesn't do justice to the sheer scale of this crudo misto ($99) platter. Crowned with sweet Meyer lemons and served with a tiny pot of coarse salt, squeezing and seasoning is part of the fun. 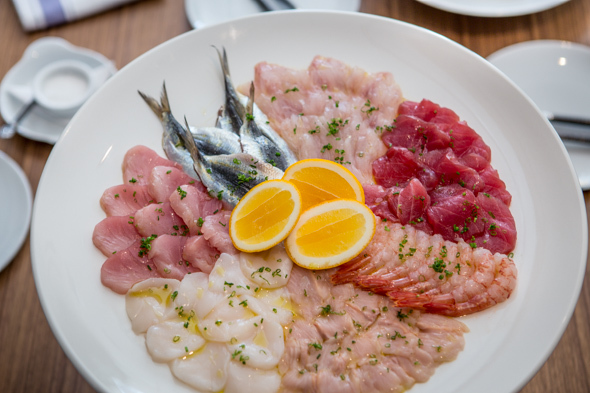 Doused in unfiltered olive oil, the stunning selection includes sweet side stripe shrimp and bay scallops, luscious raw branzino, albacore, yellow fin and trout, and briny preserved sardine fillets. House-made bucatini alla carbonara ($21) dusted with pecorino romano and black pepper, is nothing short of exceptional. Breaking the hen's yolk over the thick extruded noodles is one of those simple pleasures diners will treasure. Smoked herring bottarga steps up and shines in place of bacon - it's a simple riff but makes perfect sense considering the fish roe's salty, smoky qualities. Polpo e vongole ($38) includes a whole octopus that's tenderly braised, tentacles pleasingly crisped. It's served over a bed of fregola sarda (pasta similar to Israeli couscous) with bone marrow and wilted kale, plump little clams and earthy baby artichokes. This is feels like a real entree, a complete plate of protein, veg and starch - in a sea of snack bars and small plate purveyors. I'd forgotten what these looked like (bless that Italian hospitality). With this dish, the only potential for regret is that you might not leave room to eat more things too. 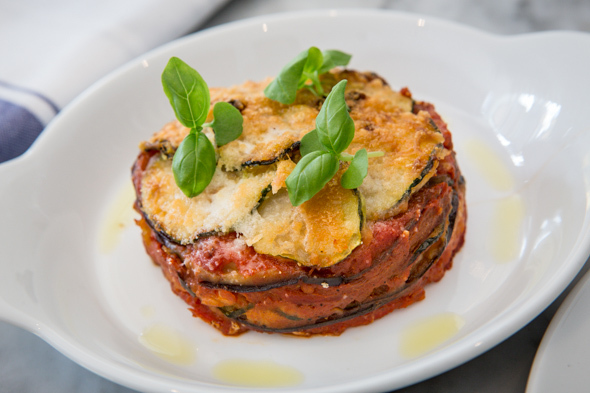 Peperonata ($12), layered with sweet peppers, eggplant zucchini and parmigiano, is an example of how chef Gentile can turn even simple ingredients into stunners. 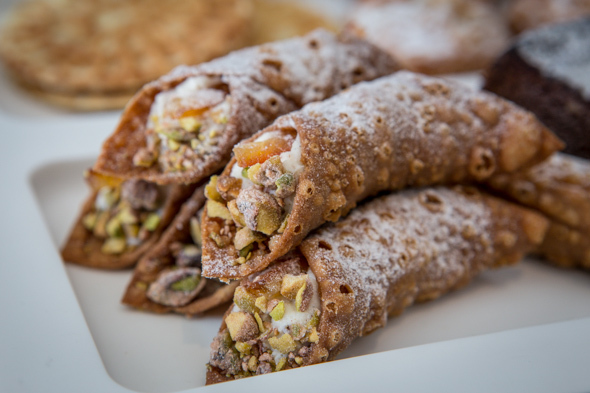 Dessert is out of the question, but a delectably crisp, ricotta and mascarpone-filled cannoli ($3) to go is advised.